Tag Archive | "School of Law"
Pay close attention…We know who should be held accountable for this mess we are in today! How convenient for Greenspan to get out when he did…CRIMINAL! This is a collection of soundbites from Prof. Michael Greenberger from the University of Maryland School of Law who was interviewed for a PBS FRONTLINE program concerning Brooksley Born, former chairman of the Commodity Futures Trading Commission, who attempted to regulate the secretive, multitrillion-dollar derivatives market whose crash helped trigger the 2008 financial collapse. 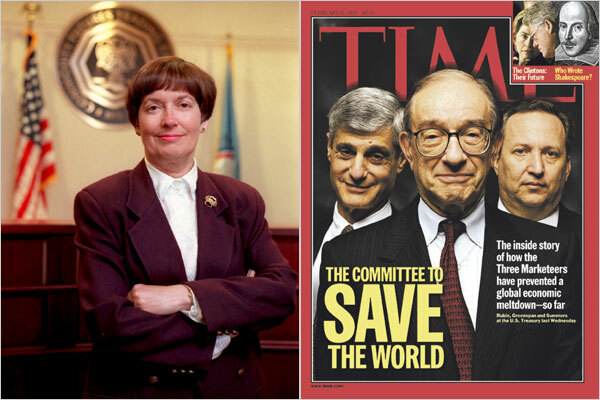 THE WARNING: Long before the meltdown, one woman tried to warn about a threat to the financial system.